Stay connected to your fellow alumni by joining the William & Mary Club – the newest affiliate of the Princeton Club of New York (PCNY) and its 200-plus worldwide reciprocal clubs. Carry your collegiate relationships forward and make new professional and social contacts. 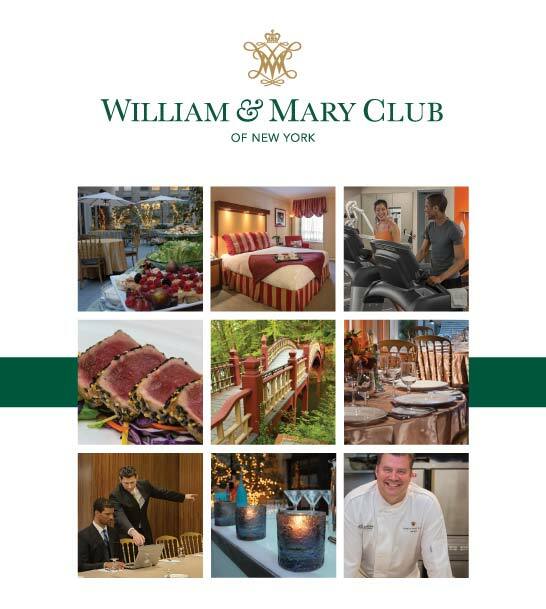 Remember to also join William & Mary when we host special networking events and other social engagements at the PCNY. Enjoy the Club’s many amenities in midtown Manhattan – just steps away from Grand Central Station and the Broadway Theater District – and explore the benefits offered by reciprocal clubs in other cities. To apply or inquire about rates and benefits, please contact the PCNY membership services team at 212.596.1240, or membership@princetonclub.com. Alumni, students, parents and faculty are eligible for membership. Membership dues and initiation fees vary and are based on factors including year of graduation and geographic location. To gift an already purchased membership, please download a gift certificate (PDF).